In the high desert of Southwestern New Mexico, Silver City is not far from Mexico, not far from Arizona, and not far from Texas. El Paso is the closest major airport. Agave Ridge Retreat is about 10 miles north of Silver City in Grant County, NM. It is on Highway 15, on the way to the Gila Wilderness, the first area reserved as wilderness in the United States, and the Gila Cliff Dwellings National Monument. 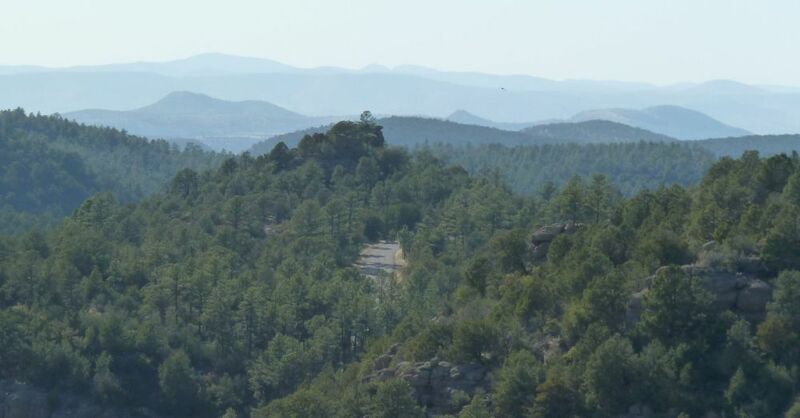 The official wilderness is 35 miles beyond the property, but there are isolated spots within the Gila National Forest bordering the property. We are at the end of the power and phone lines. The attraction of Silver City is that it’s out-of-the-way, but not too far from everything. The location is ideal most of the year but winter may present snow and require a 4-wheel drive vehicle. Fly to Albuquerque, New Mexico, or Phoenix, AZ and take a small plane to the local Grant County Airport. The Grant County Airport is served by Advanced Air with flights to and from Albuquerque and Phoenix. They also have a flight from Los Angeles through Phoenix to Grant Count. You can book flights on their web site or call 800-393-7035. Silver Stage Lines has shuttles between Silver City and the El Paso Airport. Make reservations at 800-522-0162. Enterprise Rent-A-Car will deliver a car to the airport and pick it up afterward for $35 plus the rental fees. Call 575-534-0000 to reserve in advance. 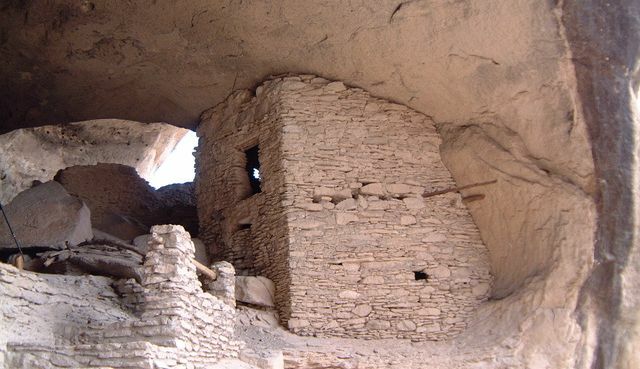 “It was the perfect getaway!” Amy S.
The Gila Cliff Dwellings (above) is the most famous tourist site within driving distance, and there are others: City of Rocks, the Catwalk, Pinos Altos, and the Gila Wilderness. And of course there are numerous less well-known sites that are just as beautiful and interesting. Some of them are within hiking distance of our doors.